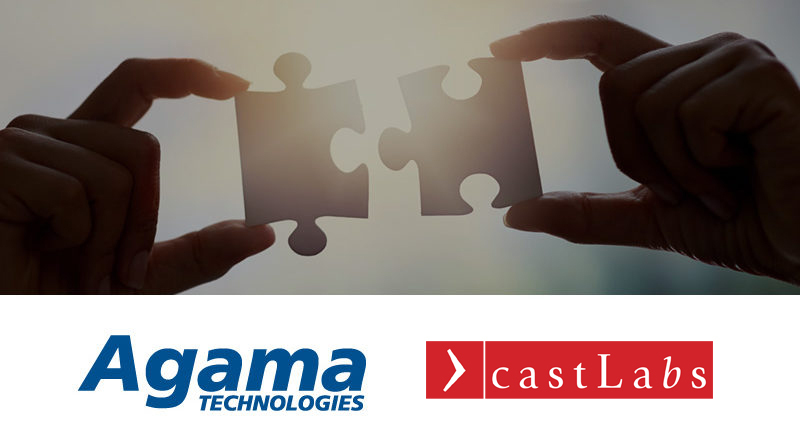 (Linköping, Sweden, September 4, 2018) – Agama Technologies, the specialist in video service quality and customer experience, and castLabs, a global pioneer in premium digital video technology, today announced a new partnership to deliver a pre-integrated player SDK solution for efficient video service quality assurance aimed at Over-The-Top (OTT) service providers. “We are very happy to be partnering with a leading studio-to-screen solutions vendor such as castLabs to enable this pre-integration”, says Johan Görsjö, Director of Product Management at Agama Technologies. “In today’s fast-moving OTT environment, it is crucial to get the right insights at the right time to improve service performance and subscriber experience”. “By working together with Agama, we can deliver a pre-integrated offering with superior viewer experience as the focus,” says Michael Stattmann, CEO at castLabs. “castLabs’ PRESTOplay player SDKs combined with Agama’s innovative monitoring, assurance and analytics solution provides OTT operators with effective tools to ensure the quality of their service delivery”. castLabs offers fully-featured software development kits (SDKs) for creating robust custom video player applications across multiple platforms including Android™, iOS, desktops, browsers, game consoles, Smart TVs and set-top-boxes. Utilizing the latest standards and technology, castLabs’ PRESTOplay video player SDKs reduce development efforts by providing everything you need for delivering leading-quality video experiences to your customers. Agama Technologies and castLabs will be exhibiting at IBC in Amsterdam, 14-18 September 2018. Agama will be showcasing its industry-leading monitoring, assurance and analytics solution at stand 5.B72 and castLabs will be demonstrating its studio-to-screen solutions at stand 14.A14.